Cape Town: Cableway’s half-price Sunset Special returns! 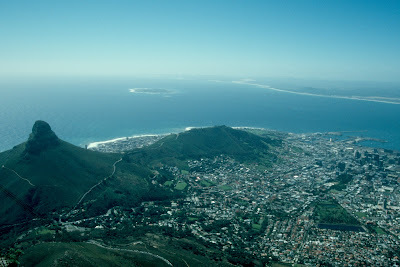 Cape Town's Table Mountain Aerial Cableway will again introduce the annual Sunset Special. From 01 November to 18 December 2016, and from 04 January until 28 February 2017, return tickets for the Cableway are half price after 18:00 (06:00pm). Tickets are available online from 01 November 2016 (to be used only from 18:00 (06:00pm) on the day of your visit) and from the Ticket Office at the Lower Cableway Station from 18:00 (06:00pm), at R127.50 per adult and R62.50 per child. Please note that it is not advisable to use the Cableway's free park-and-ride MyCiTi bus service for the Sunset Special as the service runs only until 19:00 (07:00pm) only. update (19 December 2016): One of the Eastern Shores section’s most beautiful and rewarding game drive loops – the 18km Grassland Loop – is once again open to tourist traffic after the completion of the Bhangazi Berm bridge. update (15 December 2016): All of the recently rehabilitated roads within the iSimangaliso Wetland Park are open to traffic as of the evening of 15 December 2016 with the exception of the kuMfazana Hide road on the Eastern Shores. Tourist and other work will be continuing on Grasslands Loop and Pan Loop but the roads will be open and traffic will be controlled with flag people when necessary. The Bhangazi Culvert and Berm are not open to the public. Barricades have been placed before the culvert on the Grasslands Loop side and on the Cape Vidal side. IMPORTANT NOTICE: From Monday 28 November until approximately 15 December the Cape Vidal ‘pass’ immediately before the Cape Vidal resort will be completely CLOSED daily to traffic between the hours of 10h30 and 14h30 as re-tarring commences. Visitors and staff are urged to plan their access and exits to outside of these hours. Infrastructure improvements within the uMkhuze Section of the iSimangaliso Wetland Park encompass both the rehabilitation of the road works as well as upgrades of the park facilities encompassing but not limited to the eMshophi gate, a number of the hides as well as staff housing. These works will require the closure of some of the tourist roads and points of interest within the park. eMshophi Gate: Construction of the new eMshophi Gate House has commenced. The new gate house is situated approximately 1km before the existing boom gate into the Park. Traffic control in the form of stop and go’s as well as diversions around the construction works are in place. Tourist and other traffic will be accommodated on all roads where possible. Please see the schedule below showing the anticipated closure dates of a number of the Park’s points of interest. KuMalibala Hide: kuMalibala Hide is currently closed to the public. KuMahlala Hide: kuMahlala Hide is currently open to the public. IMPORTANT NOTE: The kuMasinga Hide is currently closed to the public for cement work on the walkways to enable disabled access. Mission Rocks Road is closed in its entirety. uMphathe Loop: Final testing of the gravel surface at uMphathe Loop is underway. eMshopi Gate: Construction of the new eMshopi Gate House has commenced. The new gate house is situated approximately 1km before the existing boom gate into the Park. Traffic control in the form of stop and go’s as well as diversions around the construction works are in place. IMPORTANT NOTE: The kuMasinga Hide is currently open to the public, but is expected to be closed towards the end of next week (dependant on progress of the works at the KuMalibala hide). The KuMasinga hide is anticipated to be closed for 4 weeks as concrete walkways are being laid to enable disabled access. It is planned to reopen by the start of the December school holiday period. South Africa's first UNESCO World Heritage Site, the iSimangaliso Wetland Park in KwaZulu Natal, is currently busy with routine road maintenance and repairs. Infrastructure improvements within the uMkhuze Section of the iSimangaliso Wetland Park encompass both the rehabilitation of the road works (expected to be completed at the end of November 2016) as well as upgrades of the park facilities encompassing but not limited to the eMshophi gate, a number of the hides as well as staff housing. These works will require the closure of some of the tourist roads and points of interest within the park. Enxwala Vista Point Road: This road is closed as construction continues on the low level crossings situated on this road. 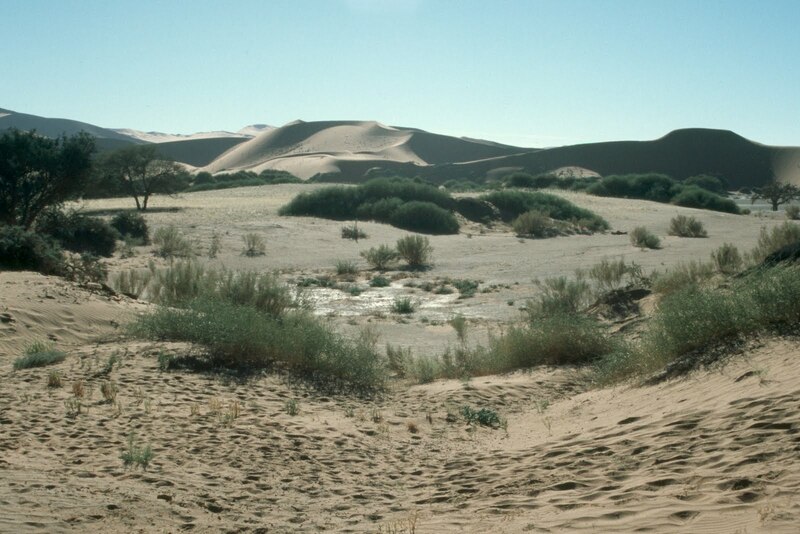 The iSimangaliso Wetland Park covers 332 000 hectares and contains of three major lake systems, eight interlinking ecosystems, most of South Africa's remaining swamp forests, Africa's largest estuarine system, 526 bird species and 25 000 year-old vegetated coastal dunes – among the highest in the world. 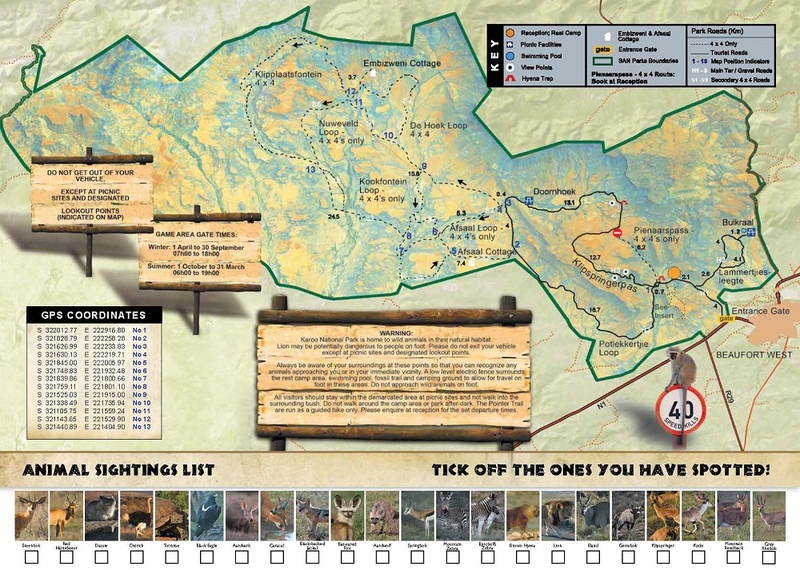 The Park is is situated on the east coast of KwaZulu Natal, about 275 km north of Durban. 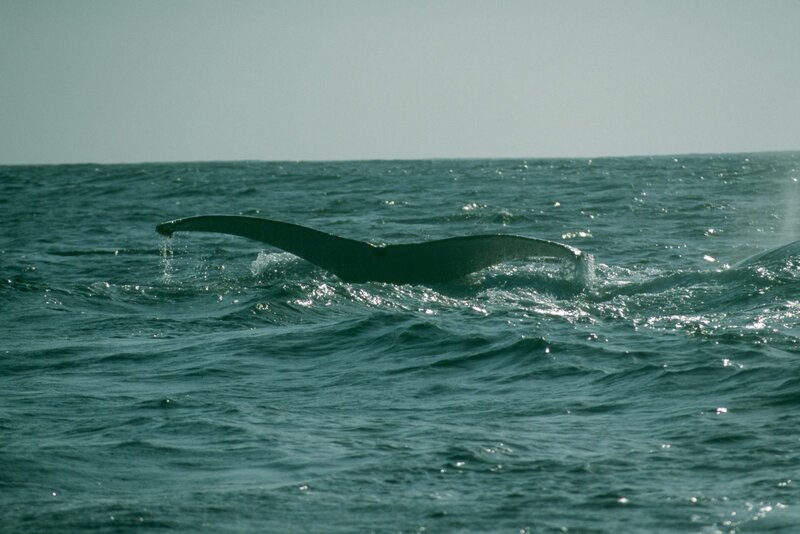 It is South Africa's third-largest protected area, spanning 280 km of coastline, from the border to Mozambique in the north to Mapelane south of the Lake St. Lucia estuary. Lonely Planet's "Best in Travel": Namibia named second best value destination for 2017! Lonely Planet's "Best in Travel": Cape Town named second best city for 2017! Kenya Airways to increase flights between Nairobi <> Cape Town via Livingstone! Kenya's flag carrier, Kenya Airways, is set to increase the number of flights between Jomo Kenyatta International Airport (NBO) in Nairobi and Cape Town International Airport (CPT) in Cape Town via Harry Mwanga Nkumbula International Airport (LVI) in Livingstone (Zambia). Effective 21 November 2016, the airline will operate four weekly flights instead of the current three weekly flights on the route. To meet the expected demand, Kenya Airways will increase the flight frequencies around Christmas 2016 to five (as of 19 Dec 2016) and eventually to six (as of 26 Dec 2016) times per week. From 09 January 2016 the schedule will return to four times a week. Air Botswana and Qatar Airways sign codeshare agreement! The flag carrier of Botswana, Air Botswana, and the flag carrier of Qatar, Qatar Airways, have signed a codeshare agreement. Under the new partnership, Air Botswana provides passengers of Qatar Airways with connections to Sir Seretse Khama International Airport (GBE) in Gaborone, Francistown Airport (FRW) in Francistown and Maun Airport (MUB) in Maun via Qatar Airways' South Africa gateway at OR Tambo International Airport (JNB) in Johannesburg. These three routes are now part of Qatar Airways' flight network, which has over 150 destinations. Botswana imposed new entry requirements for minors! The Government of Botswana has imposed new entry requirements. All minors under the age of 18 transiting through Botswana's ports of entry are now required to produce certified copies of unabridged birth certificates in addition to the standard requirement of a valid passport. The new requirement came into effect on 01 October 2016. 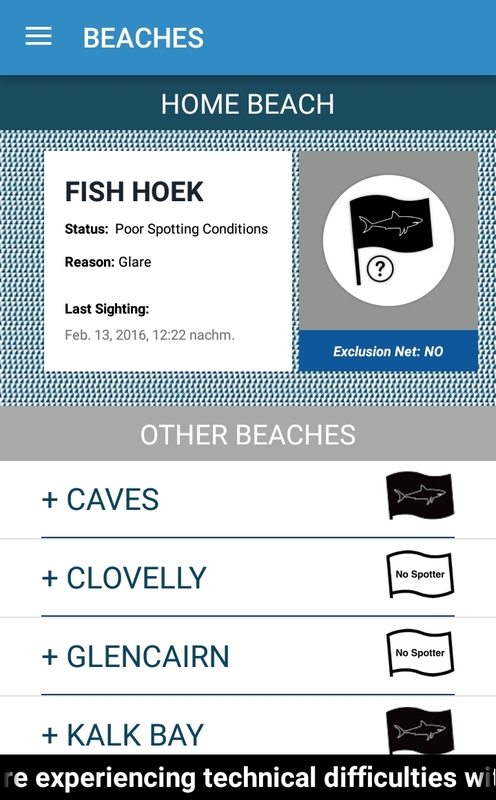 Cape Town: Shark Spotters has launched a new app! Survey: The best & worst airports in Africa 2016! The best airport in Africa 2016 is Cape Town International Airport (CPT) in Cape Town, followed by Kigali International Airport (KGL) in Kigali and Sir Seewoosagur Ramgoolam (Port Louis) International Airport (MRU) on Mauritius. Johannesburg's OR Tambo International Airport (JNB) came in on 4th rank, King Shaka International Airport (DUR) in Durban on 6th rank and Jomo Kenyatta International Airport (NBO) in Nairobi was named 8th best airport in Africa 2016. SA Express to resume flights on three major routes! South African carrier, SA Express, will resume flights between Johannesburg and Port Elizabeth, between Johannesburg and East London as well as its services between Durban and Cape Town on reduced frequencies on 01 November 2016. Earlier this month, the airline announced plans to suspend services on these three routes, effective 15 October 2016. Johannesburg: Free shuttle to/from Liliesleaf & the Bryanston Organic & Natural Market! Great news for travellers in Johannesburg - Sandton to be precise - planning to visit Liliesleaf and/or the famous Bryanston Organic & Natural Market. A free shuttle bus service between selected hotels in Sandton, the museum and Johannesburg's oldest outdoor market has recently been introduced. The bus leaves from Sandton at 09:00, 10:00 and 13:00 every Thursday and Sunday and returns from the Bryanston Organic & Natural Market at 12:15 and 15:00. Established in 1976, the Bryanston Organic & Natural Market is Johannesburg's oldest outdoor market. Apart from organic fruits and vegetables, the market has over 140 stalls that are offering everything from delicious deli foods to crafts, gifts, jewellery and clothing made from only natural materials. The Market also has four different eateries, offers live music and lots of kids activities. The Bryanston Organic & Natural Market is open between 09:00 and 15:00 every Thursday and Saturday. In the October 2016 edition of Culinary Journeys, the CNN TV series explores South Africa's cuisine (it is actually more the cuisine of the Western Cape) together with one of the country's most famous celebrity chefs, Reuben Riffel. Enjoy! Culinary Journeys is a monthly TV series on CNN International. In each episode, a world-renowned chef invites CNN into their kitchen as they explore the foods that have shaped their careers. Kenya Airways to suspend direct flights between Nairobi <> Gaborone! As part of its latest network restructuring, Kenya Airways, the flag carrier of Kenya, is set to suspend its direct service between Jomo Kenyatta International Airport (NBO) in Nairobi and Sir Seretse Khama International Airport (GBE) in Gaborone in Botswana from 15 November 2016. The airline will continue to serve the capital of Botswana with its aviation partners via OR Tambo International Airport (JNB) in Johannesburg, South Africa. Kenya Airways operates three flights per day between Nairobi and Johannesburg. 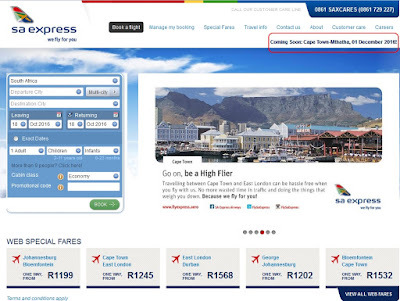 SA Express to launch flights between Cape Town <> Mthatha! South African carrier, SA Express, is set to launch direct flights between Cape Town International Airport (CPT) in Cape Town and Mthatha Airport (UTT) in Mthatha in the Eastern Cape on 01 December 2016. Fastjet to introduce an additional flight between Harare <> Johannesburg! Due to popular demand, Fastjet Zimbabwe will introduce an additional flight - update: on Sundays - between Harare International Airport (HRE) in Harare and OR Tambo International Airport (JNB) in Johannesburg on 06 November 2016. Karoo National Park: Swimming pool at the Bulkraal Picnic Site is currently closed! The swimming pool at the Bulkraal Picnic Site in the Karoo National Park in the Western Cape is closed for at least 14 days (as of 10 Oct 2016) due to urgent renovations. We'll keep you posted! The Bulkraal Picnic Site is located in the eastern part of the Karoo National Park. The facilities at the site include the currently closed swimming pool, as well as a braai area and ablution facilities (cold shower). Nairobi: The Nairobi Arboretum has introduced entrance fees for the first time since 1907! The Nairobi Arboretum, located along State House Road just about 3km from Nairobi's city centre, has introduced entrance fees for the first time since it was founded in 1907. According to Friends of Nairobi Arboretum (FONA), which manages the popular recreational park in conjunction with the Kenya Forest Service (KFS), the recent introduction of fees on 01 Sept 2016 will help to manage the park sustainably. 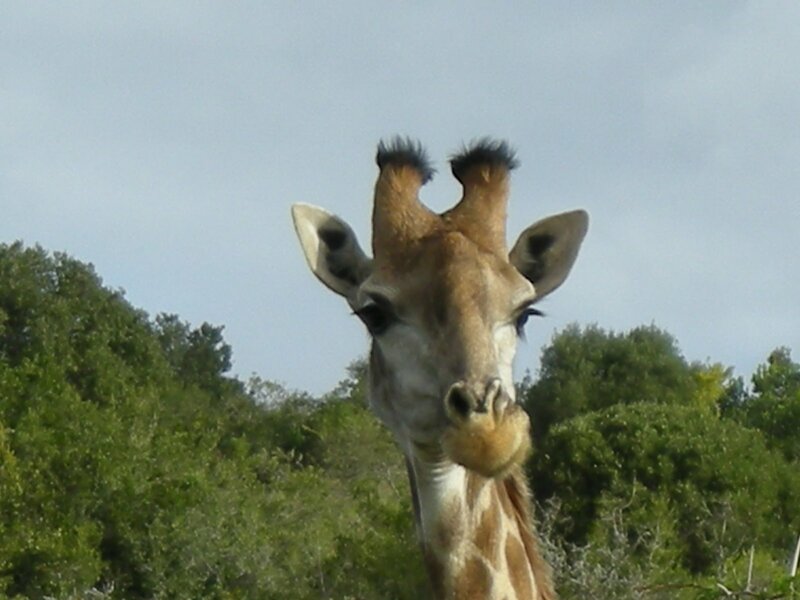 Tickets are available at the Main Entrance to the Nairobi Arboretum and cost KShs.50 (GBP 0.40 | EUR 0.44 | USD 0.48 | ZAR 7.00) for adults and KShs20 (GBP 0.16 | EUR 0.18 | USD 0.20 | ZAR 3.00) for visitors below 18 years of age. The admission hours are Mondays to Sundays from 07:00 until 17:00 all year round including public holidays and weekends. The Nairobi Arboretum, one Nairobi's few remaining green spaces, is a 30.4 hectares of wooded landscape. 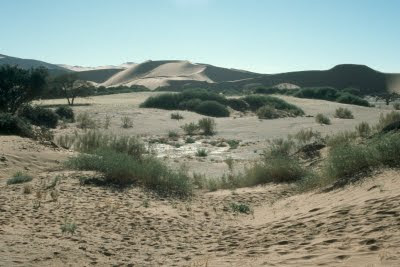 It is home to over 350 species of indigenous and exotic plants, to over 100 species of birds and a significant population of Sykes and Vervet monkeys. The Arboretum was founded by Mr. Batiscombe, then Deputy Conservator of Forests, in 1907. In 1932 it was gazetted as a National Reserve and in 1996 a title deed issued by Commissioner of Land designated the Nairobi Arboretum as a Public Owned Reserve. The Shark Spotters Information Centre, situated at Muizenberg Surfer’s Corner in Muizenberg, is open to members of the public from 08:00 to 18:00 seven days a week. The centre provides up-to-date information on sharks and marine ecology, basic first-aid, general public assistance and emergencies, storage of valuables and lost property. 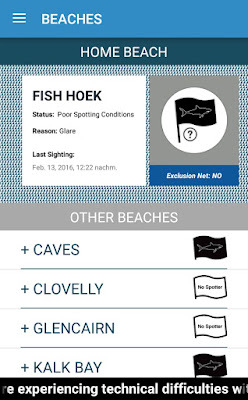 The Fish Hoek shark exclusion net was deployed on 01 October 2016. It forms a complete barrier from the sea floor to the sea surface and prevents animals from entering the "exclusion zone" in the southern corner of Fish Hoek Bay. 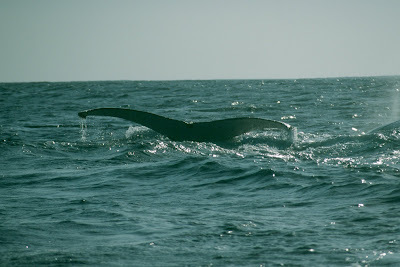 The net is deployed and retrieved daily to minimise the risk of entangling marine animals and has been specifically designed to have minimal environmental impact. South Africa's Blue Flag beaches 2016/17! 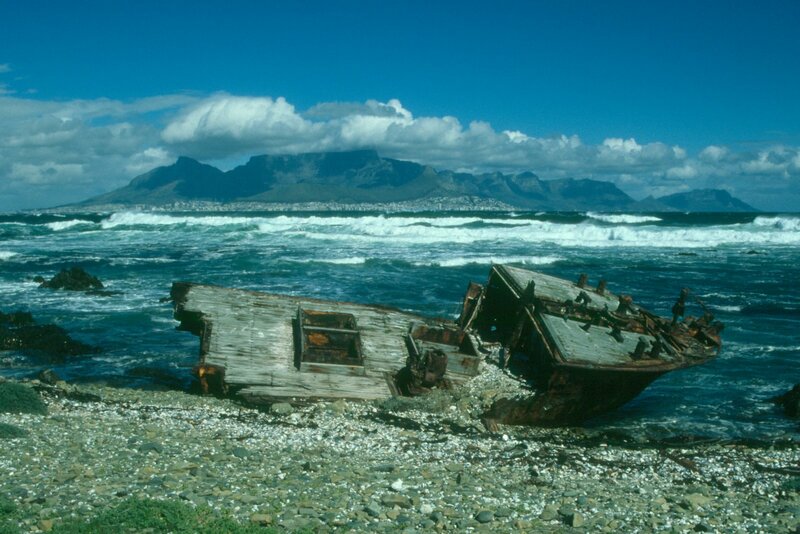 A total of 45 beaches in South Africa, along with eight sustainable tourism boats and five marinas have been awarded Full Blue Flag status by the 2016 International Blue Flag Jury. The jury results include 41 Blue Flag sites in the Western Cape, 9 sites in KwaZulu-Natal and 8 sites in the Eastern Cape. South Africa: SA Express to close three routes! South African carrier, SA Express, will cancel its scheduled flights between Johannesburg and Port Elizabeth and between Johannesburg and East London, as well as its services between Durban and Cape Town, effective 15 October 2016. Passengers affected by the suspended services will be accommodated on flights operated by South African Airways and Mango, a subsidiary of South African Airways. Kruger National Park: No leaded & unleaded fuel at Shingwedzi Rest Camp! update (17 Oct 2016): Unleaded petrol available again at Shingwedzi Rest Camp in Kruger National Park. Leaded petrol is still not available. South African National Parks (SANParks) announced on 05 October 2016 that leaded and unleaded fuel is currently not available at Shingwedzi Rest Camp in Kruger National Park. Both fuel pumps are out of operation until further notice due to the decontamination of the tanks. The diesel fuel pumps are not affected by the decontamination, so that diesel is still available at the restcamp in the northern section of the Kruger National Park. We'll keep you posted! Cape Town: Zeitz Museum of Contemporary Art Africa (MOCAA) will open in 2017! udpate (14 Sept 2017): The official ribbon cutting ceremony will take place on Friday, 22 September 2017 at 11h00. The largest art museum to be built in Africa in more than 100 years, the Zeitz Museum of Contemporary Art Africa (MOCAA) in Cape Town, will open in September 2017. The museum, a partnership between the V&A Waterfront and Jochen Zeitz, is the first major museum in Africa dedicated to contemporary art from Africa and its diaspora. When completed, the Zeitz MOCAA will have nine floors, with 6 000 m² dedicated to gallery spaces and 3 500 m² to site specific exhibition spaces. During the grand opening weekend (22-25 September 2017), no entrance fee will be charged. The actual entrance fee to the Zeitz MOCAA is still beeing finalised (it will R180/adult), but it is already certain that visitors under the age of 18 will enter free all year round (confirmed) and that South Africans and visitors from the African continent will get free entry on Wednesday mornings (confirmed). During the "Late Night Fridays", which will be held at least once a month, entry will be half price for all. ("First Fridays": Half price admission between 16:00 – 21:00 every first Friday of the month.) The opening times will be daily from 10:00 to 18:00 every day except Tuesdays. The Zeitz Museum of Contemporary Art Africa (MOCAA) is located in the historic Grain Silos at Cape Town's famous V&A Waterfront. South Africa's most punctual domestic airlines in September 2016! Airports Company South Africa (ACSA) has published the on-time performance results of domestic airlines’ flying out of OR Tambo in Johannesburg, Cape Town International Airport, and Durban's King Shaka International Airport in September 2016.